"Ohhhh" — you, finally realizing there are products out there that will basically clean your skin for you! 1. A lightweight Bioré SPF 50 sunscreen to incorporate into your daily skincare routine and protect you from the sun. This sunscreen doesn't smell or feel greasy and will sit perfectly under your makeup, so you'll never skip this important step. Get it from Amazon for $16.80. 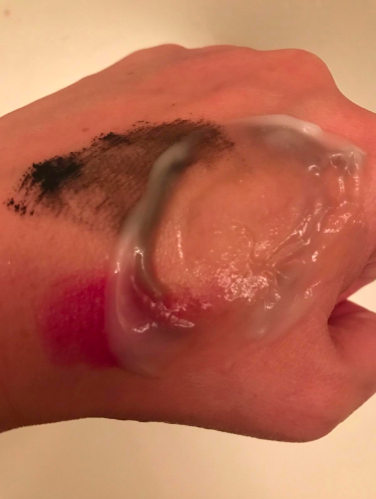 Be sure to check out "10 Game-Changing Beauty Products That Will Make You Say, "Dang, I Look So Good!"" (#2) to see why a BuzzFeeder uses this sunscreen every day! 2. A Tula probiotic cleanser that'll seep into your pores to remove pimples and help condition your skin using turmeric, blueberries, and chicory root in just one step, but without stripping or over-drying. Promising review: "This gel cleanser makes my skin feel incredibly clear and soft without it feeling stripped. Since I've added Tula products to my daily skincare routine, I have seen such an improvement in evening out my skin tone. This cleanser works great with my facial cleansing brush for those days that I need a little more exfoliating. It smells amazing and I feel good about the ingredients of the product!" —Janine M.
Get it from Amazon for $8.75+ (available in two sizes). 3. 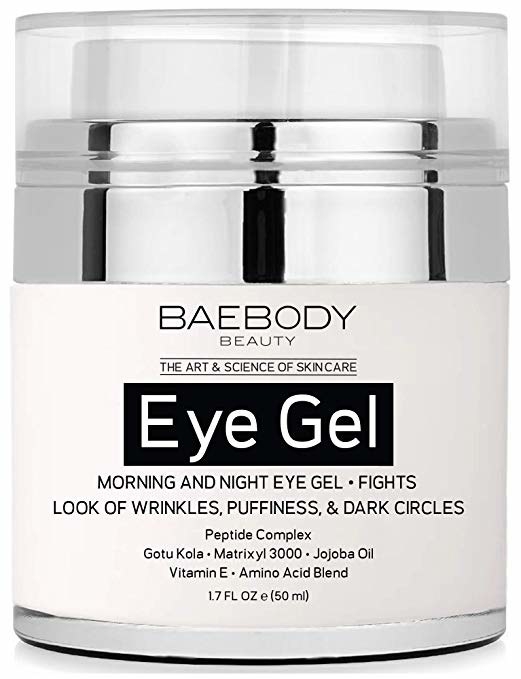 An Baebody eye gel made with vitamin E, jojoba oil, and amino acids to diminish fine lines, under-eye bags, and puffiness. This will teach you that applying cream IS important, because the results are just that unreal. Get it from Amazon for $23.95. Need more proof? 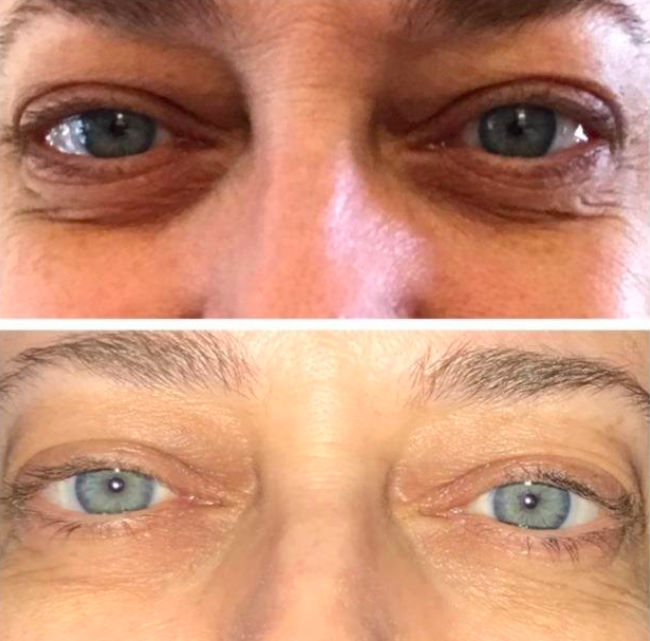 Check out "This Potent Eye Gel May Help Diminish Your Fine Lines And Dark Circles"! 4. 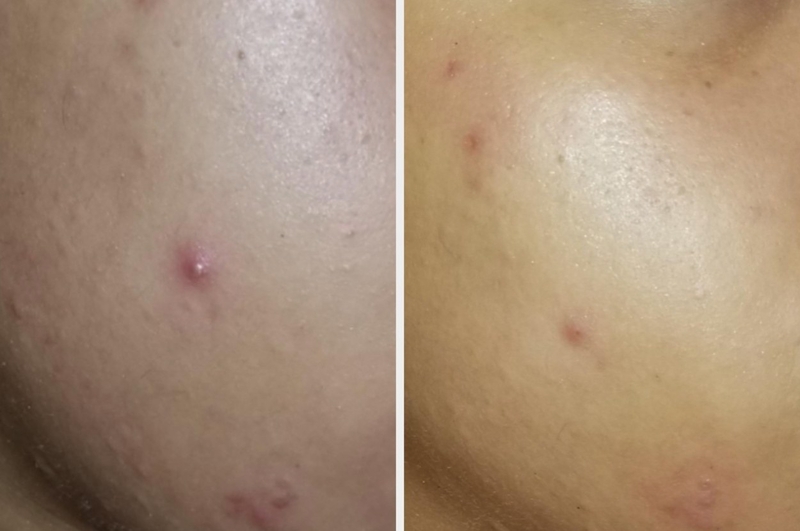 A skin scrubber that'll properly extract your pimples and blackheads using ion technology to remove dead skin cells so you don't use your fingers and make breakouts even worse. It's suggested you wet your face before using for the best results and to only use it for about 5–10 minutes. 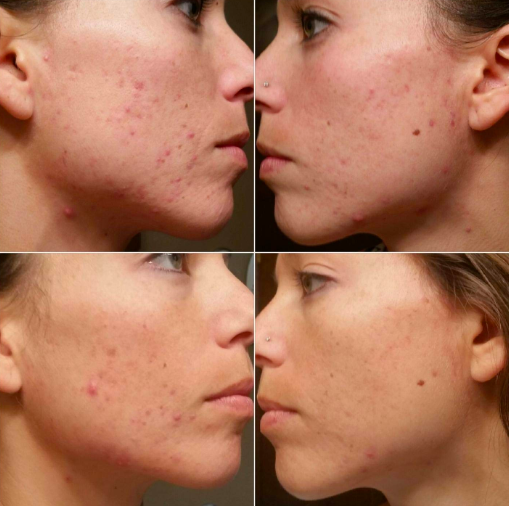 It'll help cleanse, tighten, and smooth your skin. All charging hardware is included! Get it from Amazon for $42.99. 5. 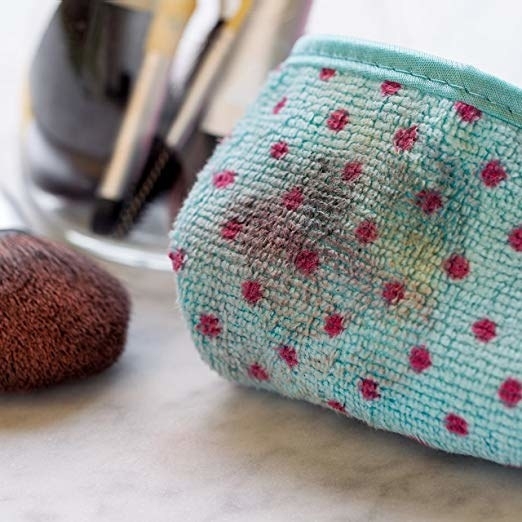 A microfiber makeup-removing cloth so darn easy to use, you'll never fall asleep with your makeup on again. Just add water, rub off your makeup, and crawl right into bed with a fresh face. Add water or your favorite makeup remover/face cleanser to this cloth and it will gently (but magically!) remove all the makeup and dirt from your face. Not only are you helping your skin, but you're helping the environment by reducing waste. Just toss it in the washing machine and it will come out good as new! Get a pack of three from Amazon for $2.97. For even more options, check out our picks for best makeup removers at three price points on BuzzFeed Reviews! 6. A Freeman cucumber peel-off mask that an Amazon reviewer went so far to claim was like "hitting the refresh button" on their face. It's a fast way to mask and will peel away blackheads for a fresh, silky-feeling complexion *without* over-drying. Get a pack of two from Amazon for $12.95. 7. A set of Grace & Stella under-eye masks so you can say buh-bye to the annoying bags under your peepers. These collagen, vitamin C, rose oil, and hyaluronic acid miracle workers will have you looking like you've slept for days, even if you binged watched TV all night. Get a pack of 12 from Amazon for $21.99. 8. A rose quartz jade roller that'll help reduce puffiness under your eyes and rejuvenate the skin around them in just a few quick swipes. Looking tired (even after a long slumber) will no longer be how you ~roll~. It includes a rose quartz gua sha scraping massage tool! Get the set from Amazon for $27.99. 9. An Eraorganics Revive facial scrub made with aloe vera, manuka honey, walnuts, and powerful vitamin C so you can scrub away those tired vibes while nourishing your skin with only the best ingredients. Your complexion will *definitely* be thanking you. 10. A Neutrogrena Hydroboost moisturizer that'll feel like you're splashing ice cold water on your face to wake yourself up. This oil-free moisturizer will revive your skin by leaving your face plump, refreshed, and hydrated *without* feeling greasy or heavy. Promising review: "This is hands-down the best moisturizer I've ever used. I tend to shy away from moisturizers because I have oily, acne-prone skin, but some of the acne products I use will create rough patches. The first day I used this I couldn't stop touching my face, because it was so soft. It wasn't greasy or heavy at all. It soaked right in and smelled wonderful. It's almost like an ocean-type scent that's very faint. By the third day or so, my skin's condition improved quite a bit. The pores look much smaller and my face just has a natural glow. It also looked less tired and sunken in and around the eyes." —Liz T.
Check out "I Found The Best Face Moisturizer Out There, And It's Only $15" to read more about how a BuzzFeeder avoids flaky, White Walker–esque skin. 11. An all-in-one Mizon repair cream made of 92% snail mucus (yes, that is correct) — it'll help you streamline acne treatments into an easy-to-use moisturizer. All hail the snail. Don't worry, this is made in cruelty-free conditions! Get it from Amazon for $16.90. 12. 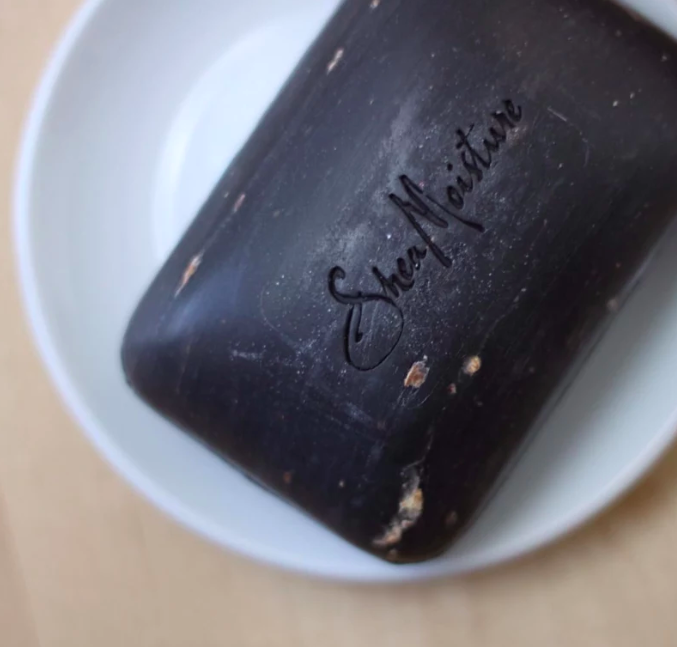 A Shea Moisture black soap bar to help teach you about calming acne while restoring your skin's natural oil balance using raw shea butter, tamarind, aloe, and oats. Need more proof? Check out "Over 1,000 People Swear By This Under-$5 Soap, And My Skin Is Ready". 13. A pack of sheet masks that have different powers (such as brightening skin or fighting acne) and require zero skill or mess. Just open them up, throw one on your face, and rub the serum that's leftover into your skin when you take it off to make sure it works to its full potential. The varieties include aloe, herb, aqua, charcoal, pearl, platinum, snail, hyaluronate, cucumber, green tea, gold, Q10, white, vitamin, royal jelly, and more. Get a pack of 16 from Amazon for $10.99. 14. 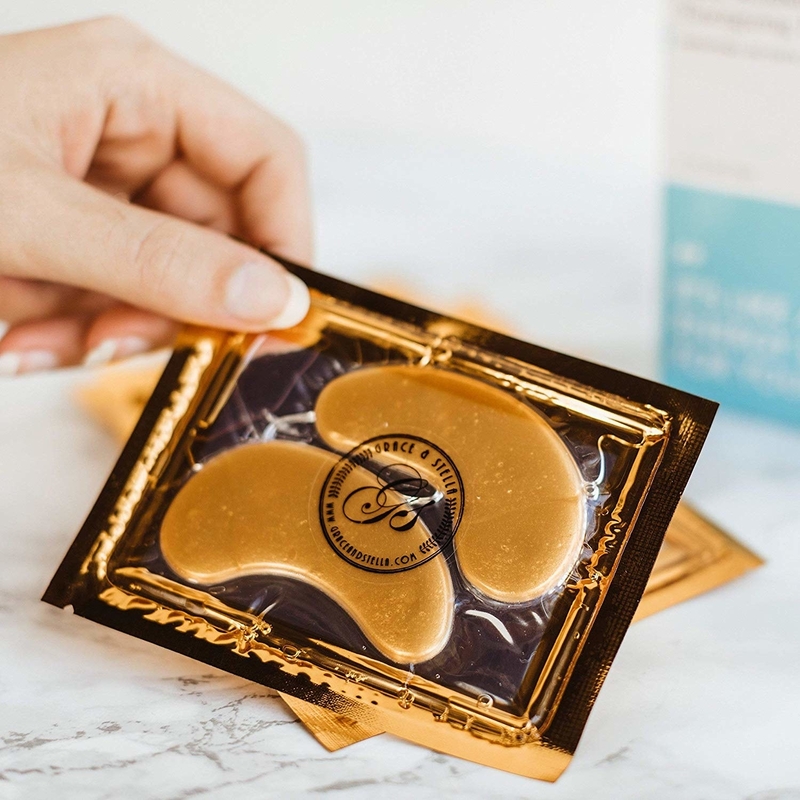 A set of Bio-Peel exfoliating pads so you can simply and quickly exfoliate your skin without all those fancy products that confuse the heck out of you. It's formulated with REAL red wine extract that contains antioxidants to help fight off bacteria. Get it from Amazon for $18.43 (also available in lemon and green tea). 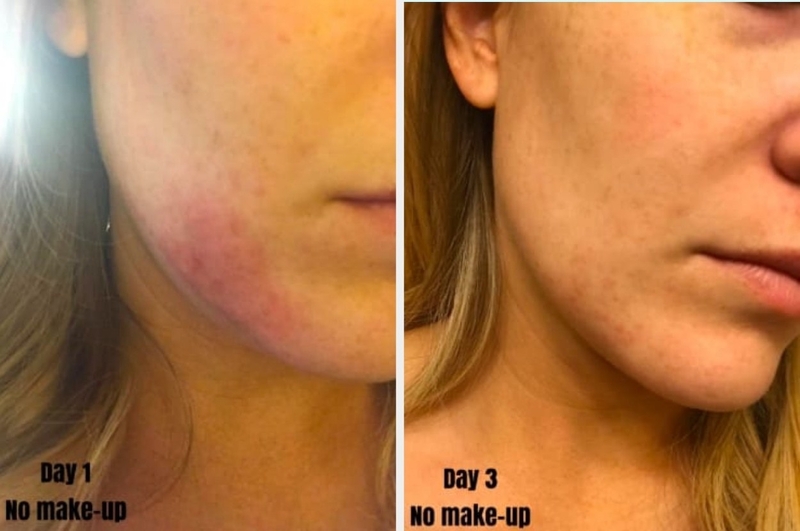 Check out "Hundreds Of People Love Exfoliating With These Neogen Pads, And This Is Why" for more info! 15. 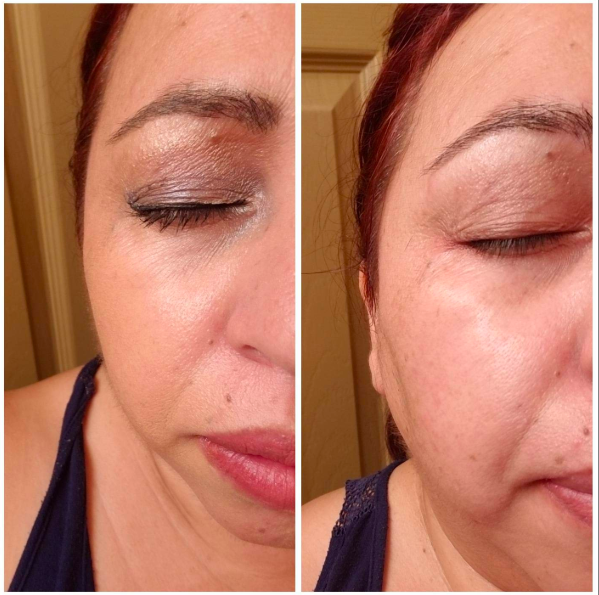 A TruSkin vitamin C serum that uses a plant-based formula made with aloe vera, botanical hyaluronic acid, and jojoba oil to help brighten your skin and get rid of the dark spots or pimples in no time. 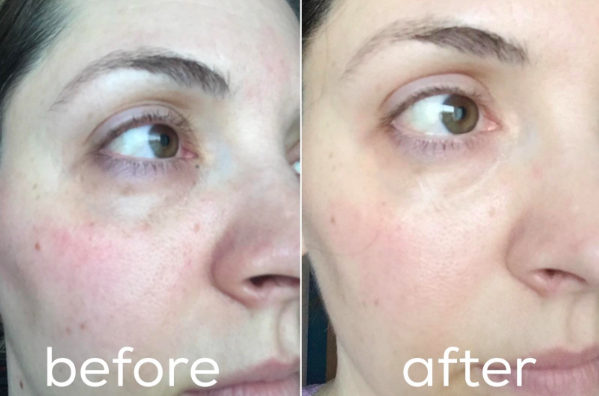 Take a closer look at "This Vitamin C Face Serum May Give You The Best Dang Skin Of Your Life" for more amazing before-and-afters! 16. A La Roche-Posay cleanser to easily melt away makeup, dirt, and oil from your face after a long day. No frills or fuss is the way to go. Get it from Amazon for $14.99 (available in two formulas). 17. An Aztec clay mask that'll vacuum out your pores so you can finally get rid of stubborn cystic acne once and for all. Just combine it with apple cider vinegar, turn on your favorite podcast, and let it do all the work for you. Get them from Amazon: Aztec clay mask for $10.95 and apple cider vinegar for $8.30. To learn more, check out "This Clay Mask Basically Vacuums Out Your Pores, And BRB I'm Going To Bathe In It". 18. An Elizavecca night cream to help you combat acne and brighten your skin overnight. Put some of this on before bed and get some shut-eye so this retinol-based miracle worker can do its magic. Get it from Amazon for $11.80. 19. A bottle of Teddie Organics rose water toner spray that'll help reduce redness, irritation, and oily T-zones with just a quick spritz. Get it from Amazon for $10.88+ (available in two sizes). 20. A cleansing brush so you can toss all those rough face cloths that are doing your face no good in the trash. Instead, this lil' thang will up your face wash game by exfoliating your skin, unclogging pores, and reducing excess oil in a few swipes. It has two sides: one with fine soft bristles and one with exfoliating rubber pins. Get it from Amazon for $9.45 (available in three colors). Need more for health and beauty products? Check out Korean skincare products you need to know, drugstore products that actually fight acne, products to help deal with dry skin, or check out all of our beauty content for even more great stuff for your hair, skin, and more.